There are regular outdoor industry standards, and then there are Highby Outdoors standards. Our team of long time experts share a passion for the outdoors that shows in everything we do. Our priority is to provide unmatched product knowledge and strong product assortments. 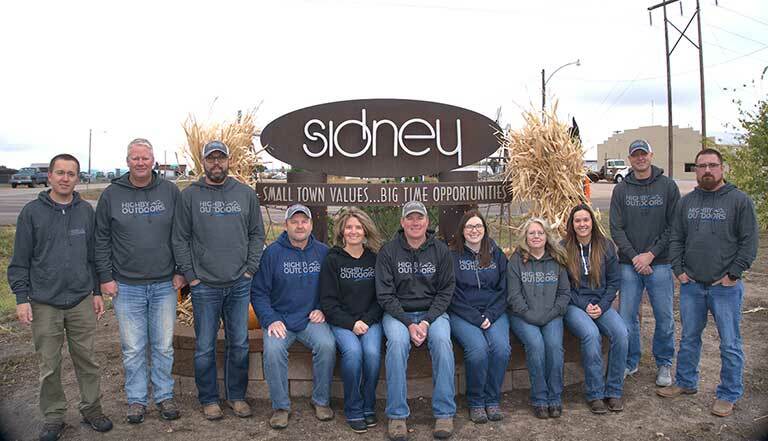 Based in Sidney, Nebraska, we embody our region’s sense of community, and want to inspire that across the nation no matter where you call home. We advocate for the traditions of the outdoors, the 2nd Amendment, and responsible gun ownership. Highby Outdoors is excited to become a support system for local clubs and conservation organizations. Our employees are working to build a legacy from their passions to educate and advance the great outdoors. Our team has decades of combined experience in the outdoor industry. We strive to exceed your expectations with a user-friendly online store for outdoor enthusiasts of all skill levels. Whether you’re purchasing your first firearm, or you’re a seasoned outdoorsman, our customer service team can help! We don’t only focus on your shopping experience – we want your outdoor experience to be great too. Highby Outdoors wants to be your ultimate outdoor resource both online and in the field. If you have any questions regarding the return of a product, order status, or even general questions about anything outdoors, reach out to us via email at weknow@highbyoutdoors.com, chat with us online, or text/call us at 1-833-465-6697. Highby Outdoors knows you come first.